Chamomile tea has is pale-colored brew with a sweet, delicate taste. It is best known for its mellow, calming properties. While not a true tea since it does not originate from the Camellia sinensis "tea" bush, it is an herbal tea made from the flower tops of the Camomile plant. This botanical is grown in many parts of the world including Eastern Europe, Egypt, Germany and Argentina. The delicious brew is made by pouring six ounces of boiling water over one tablespoon of fresh flower tops or one teaspoon of dried flower tops. 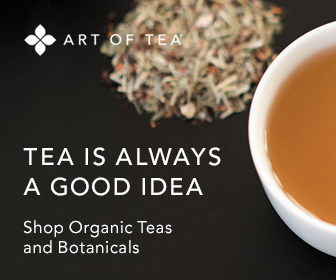 Steeping time is five to seven minutes, depending on your taste preferences. After straining the flower tops, the tea is often sweetened with natural honey, sugar or stevia. People most often drink a cup before bedtime to aid with sleep. Some herbal experts suggest that the tea can even help ward off cases of insomnia and nightmares. In addition to drinking it at night to help with restful sleep, here are some other therapeutic uses for chamomile tea. Blend the tea with powdered milk as an exfoliating paste for sensitive skin. Always check with your doctor before using or consuming the tea for medicinal purposes. While known to be relatively safe, those who are allergic to pollen, ragweed and related plants may have reactions from consumption. Chamomile blends are readily available in grocery stores, specialty coffee and tea shops, and health food retailers. Approximately one million cups are consumed annually, indicative of the long-term popularity of the beverage for pleasure as well as therapy.